This is the second in the series of "The Eagle in a Storm. Click here to read Part 1. __Changing our "wealth creation model." Ever since I started school, my teachers taught me that our country was "rich" because we had many minerals, and we'd recite the list of minerals. By the time I finished secondary school, I not only knew my country was "rich," but that Africa itself was "rich" because we had so many natural resources. Even though I didn't study geology, I could almost tell you where all these precious minerals and other resources were found: oil, diamonds, platinum, gold, copper… in places like Congo, there were names of some things I couldn’t even pronounce. __Yes, Africa is so rich!!! __Sometimes it almost seemed that the "richer" a country, the poorer the people! But how could this be? "1+1=2"! My primary school teacher drummed it into my head, right? Then I got to secondary school and one day the teacher came in and said, "You know, there are situations when 1+1 does not always add up to 2." ?! "I'm here to talk about mathematics,” the teacher said. “It's time to put away the arithmetic; this is senior school!" I didn't end my study of mathematics in secondary school. I also studied it at university where I majored in engineering. What was it the Apostle Paul said about putting away childish things?! Let me return to the wealth of our nations: I left university in the early 1980's. In those days, it was not China that was rising into an economic giant, it was Japan! It was rising and overtaking every European country, until Japan was second only to America… It was so spectacular! I first met a Japanese person when I was in my twenties and already working, yet I read every single book I could find about their prowess. "Tell me about the minerals of your country?" I asked my Japanese friend. "We have no minerals to talk of," he said emphatically and proudly. "What do you mean you have no minerals?" As we talked about the Japanese rise, I was reminded of my lessons in mathematics! And so I had discovered it was possible for a nation to be "rich" without minerals! "We buy your minerals as cheaply as we can, and then we turn them into high-value products." "You mean you exploit us?" "That's not the way we see it. After all, what would you do with them if we didn’t buy them? Do you know what we do with your platinum or your oil?" 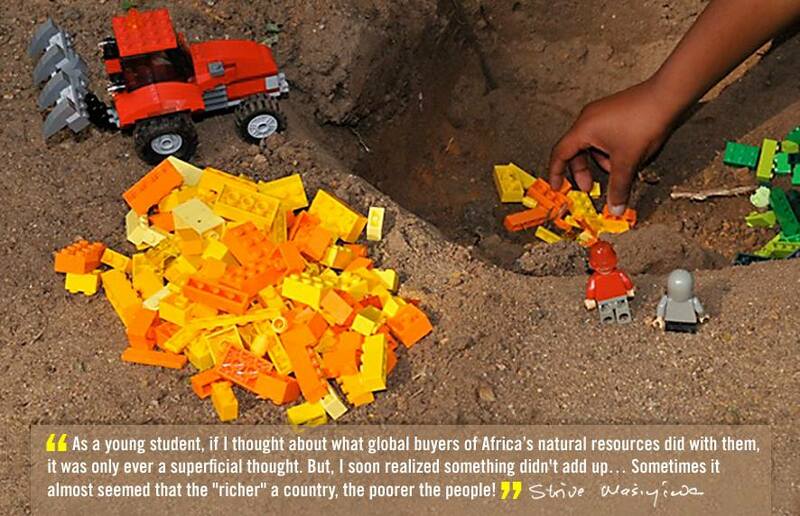 # "Our wealth creation model as a nation is not based on raw materials and minerals." "WEALTH CREATION MODEL?” What do you mean "WEALTH CREATION MODEL???" Deeply troubled (even insulted) initially, I knew there was something more to learn if I avoided becoming emotional. The conclusions I reached changed the way I look at wealth, and totally empowered me. It changed my mindset. The Tentmaker once said that our greatest battle is always in our minds… changing the way see things, particularly if we have held on to a certain perspective for a long time.